Can I get a mortgage with a family member ? To investigate your mortgage options if you are looking to get a mortgage with another family member call our mortgage team on 0117 313 7780 or fill in our call back form. If you are struggling to get on the property ladder yourself or you are looking to help out a family member yourself, you may be wondering if you can get a mortgage with a family member. The answer simply is yes; while it is more common for people to get a joint mortgage with a partner, you are allowed to get a joint mortgage with friends and family members; you can even take out joint mortgages for more than just two people. There are a number of things you should first consider before taking out a joint mortgage however, for instance during you application a lender will check the credit score of each person, meaning even if there are multiple applicants having one person with an adverse history could increase your interest rates or cause the application to be declined. You will also need to work out what will happen if for instance; your repayments are affected because one of the mortgage holders suffers a loss of income, needs to relocate or wants to leave and sell up. There are different legal agreements available for joint mortgages, if you agree to be ‘joint tenants’ all parties will have equal rights to the property this means they can claim an equal share in any profit made if the home is sold and will automatically inherit the property if the other person dies. ‘Tenants in common’ is another option where each tenant can own a different share of the property and a tenant won’t automatically inherit the property if the other party’s die. When applying for a mortgage with others you may want to consider having a solicitor to draw up a ‘Deed of trust’ which is a unique legal document between the different mortgage holders, that allows you set out provisions in the agreement on things such as; each person’s property share, responsibility for the payment of outgoings, as well as conflict resolution agreements and mediation provisions. If you’re looking for a way you could help a family member purchase their first home a Family Offset Mortgage could also be an option rather than directly being a joint mortgage holder with the family member. With this kind of mortgage you put your savings into an account that is linked to the mortgage, the mortgage owner cannot get at any of your savings, however it serves as a kind of deposit on the property, it also lowers their interest payments as interest earned on the account contributes to the loan payments. Typically once a certain percentage of the mortgage has been paid off you then get back all of your savings. Different lenders will have different policies for joint mortgages, so certain things that would be permissible with one lender may not be with another, for this reason you may benefit from speaking to an independent mortgage adviser before taking out a joint mortgage. 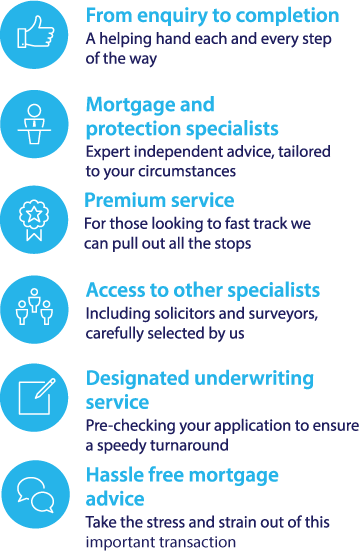 Not only will they be able to offer you impartial advice about all aspects of mortgages, they can use their expert knowledge of the market to shop around and find the best plan for your needs. If you want to find out if Fair Mortgages could help you find the right plan, why not call us or fill in the online form to request a call-back for a free initial consultation from one of our mortgage advisors.